Last week I published a new FREE Pattern called the Ribbed for Him or Her Hat. This was my take on a messy bun hat and it included a brim. When I wear a hat with a brim I like something that has structure and doesn’t lay flat on my face. I found that by using a crochet stretchy slip stitch rib I could get the perfect brim for this hat. After publishing the hat pattern, people started to ask me more about the brim. In order to help you all understand the technique better I put together a video tutorial. The video does not show how to make the exact brim for the Ribbed for Him or Her Hat but that will be coming out shortly. I have included a photo tutorial for how to complete the brim and you can read more about it in the blog post I did about the hat. The crochet stretchy slip stitch rib is great to use for a hat brim or cuffs. It has so much memory which makes for such a stretchy band on your project. Another great thing about this rib is that it looks like knitted rib but is really crochet. In order to get the stretchy properties you will only be working in the back loop of the stitch. 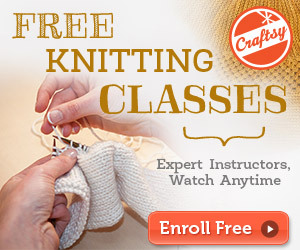 Take a look at the video and see where you can apply this crochet ribbing. Catch the Yarn Thing podcast every Tuesday and Thursday 10am Mountain Time with Marly Bird. Watch live on Facebook. It’s kind of freaky that this was the video you posted today. This is a technique I just heard about but couldn’t wrap my brain around. Your videos are always so clear and easy to follow. I love your sparkly nails too.